The entire nation and all leading political parties are straightening their game for the upcoming election in 2019. It is the time when new voters need to attain their voter ID cards. Apart from this, old voters can also check their details to ensure that their names are properly registered in the voter list. Now, the Election Commission of India has launched a new portal. The objective of this portal is to help people attain necessary details about online registration for upcoming elections. People will also be able to check the state-wise final voter list. The authority has also mentioned that this list will come in handy for fact-checking during general as well as assembly elections. Free service – Applicants will not have to pay any money to make use of this portal. It is a free service. East and fast fact-checking – With the use of this portal, applicant will no longer have to line up outside the election commission office in his/her respective areas. The candidate will attain all details with the touch of a button. For the entire nation – Citizens from all parts of the country will be able to log in on this site to take a look at the final voter list. 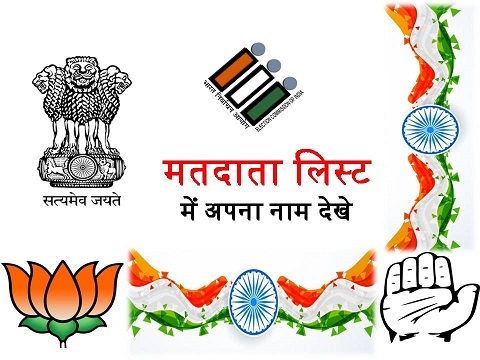 Downloadable voter list – All voter lists are available in PDF format. This means, one can download the list if necessary. Target beneficiaries – As per estimated, this portal will be able to assist as many as 87.5 Indian citizens. If the election authority has registered your details, then you will find it on this portal. How to search the portal with voter’s name? All new as well as existing voters will be able to check whether their name is on the final state voter list or not. For this, candidates will have to click on the link https://electoralsearch.in. As soon as the main page opens, an instruction box will open up. One will see two separate tabs. Each will help people to attain their necessary details via the portal. If candidates desire to bring up their details via name, then they have to click on the first tab. This will trigger the site to bring up a digital application form. Here, candidates will have to type in his/her name, husband’s/father’s name, age, and gender. After this, applicants will have to select their respective state, district, and constituent assembly by clicking on the dropdown arrows. Once the form is filled, applicants will have to type in the capchat code, highlighted in the right bottom corner of the page. How to search the portal with Voter or EPIC code? It will bring up a separate online form. Here, applicants will have to type in their voter ID card number or EPIC code. Then he/she must select the state by clicking on the dropdown arrow. Once the capchat code has been typed in the particular field, the applicant has to click on the “Search” button. This will complete the process and highlight the data.